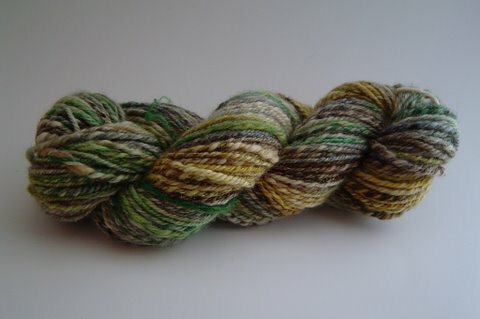 I finished spinning the Lame Duck Mallard colorway. While I didn’t fall in love with the yarn I created, I was very pleased with the progress I made on chain-plying. I’d previously been underplying my singles (and the plies) so I worked to add more twist, even going so far as to add too much twist in places. Hopefully, at some point, I’ll find a balance. It’s hard for me to tell if I have enough twist. So I’m trying to add more twist than I think I need. Being a solitary spinner, it’s more of a challenge to figure this out. 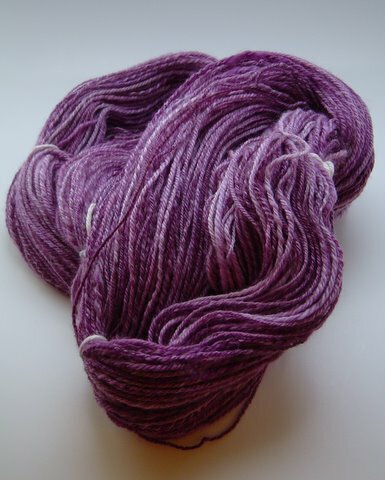 Dyed by Spincerely – Superwash Merino in the colorway, Delilah. I’m spinning it fine so it’s going a little slower, but I’m enjoying it. 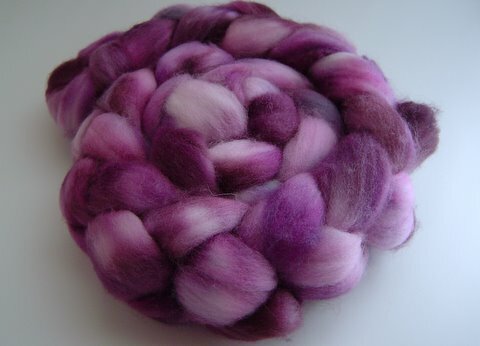 I love spinning Merino. I started out with a couple pf pre-drafted sections, but I lost the color variations so now I’m spinning directly from the top. I also finished my socks this week! Stay tuned for pictures! Hope you enjoy your week! tour de fleece begins aka I’m obsessed! I feel I made very good investment with this purchase. See that little bit of pink in the lower left corner? It’s what I worked on first for Tour de Fleece. It was a work-in-progress that I had on my spindle for a while. I had totally over pre-drafted it but I wanted to finished it. I’m am very happy with the final results. I call it ‘Flower Petals’. 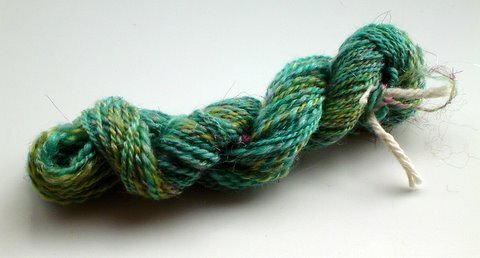 It’s from the Spunky Eclectic Fiber club in the Colorway ‘Lame Duck Mallard’ – Superwash BFL. Not one of my favorite colorways so it’s perfect to practice chain-plying. I’m going to spin 2 ounces and then ply those singles and trying to figure out why I have such trouble. 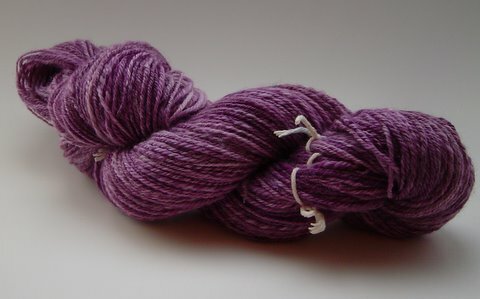 I’m enjoying spinning the singles – I’ve never spun BFL before and I’m like it. 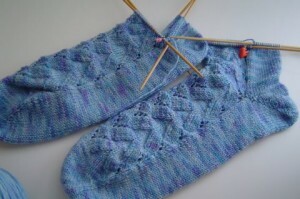 …I only have to do the cuffs and they will be done! Yay! Fiber is so much fun, isn’t it? 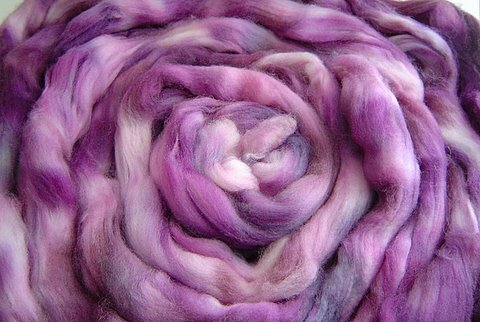 I had originally signed up for the Tour de Fleece on Ravelry but it quickly became overwhelming and I considered pulling out of it and maybe just doing it on my own or not at all. 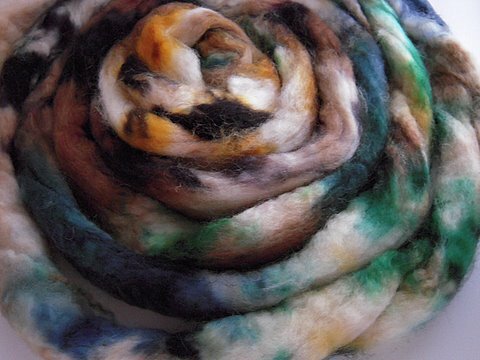 I knew there was more than one Tour de Fleece so I did one more search and found the one I one I was originally looking for, which has no connection to the group on Ravelry and the one I had seen on the Yarn Harlot’s blog in 2008. It is run by Katherine, who was perfectly lovely when I emailed her for more information. I am excited to be participating in this! I’m still on teams on Ravelry (rookie & stash busters) but this is much more low key than Ravelry and I feel that will work better for me. It’ll be fun tracking people’s progress via the Tour de Fleece blog. I have decided to set small goals for this challenge while having one overall goal. I seriously want to spin down my stash. I know some people feel that there is no such thing as ‘too much fiber stash’, but I have more than I am comfortable with. 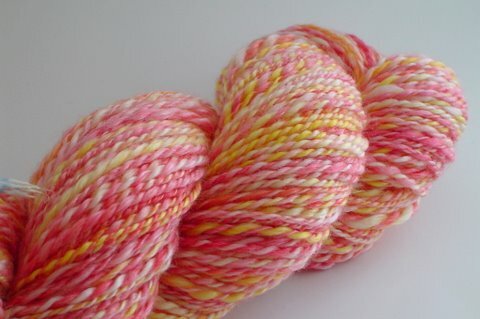 I want to spin two purchases from my favorite shop – Spincerely. 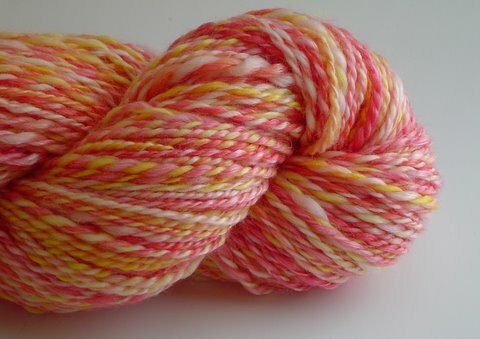 I keep buying fiber from her but I have yet to spin any of it. One I have started and it has been sitting on one of my spindles for quite a while, and like my knitting, it starts to drive my crazy to have something sitting unfinished like that so I am going to transfer it to my wheel and finish it. 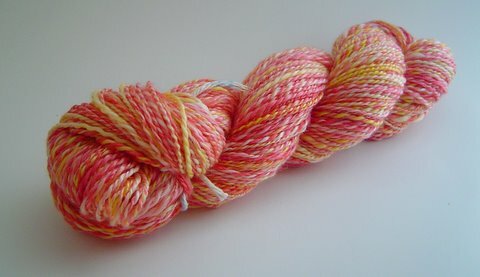 It is Merino/Tencel in the colorway “Goldflame Honeysuckle” in a lovely pink & yellow. My original goal for this yarn was that I would have enough yarn to knit the Morning Surf scarf. I’ve never tried to spin for a specific project so we’ll see how that goes. 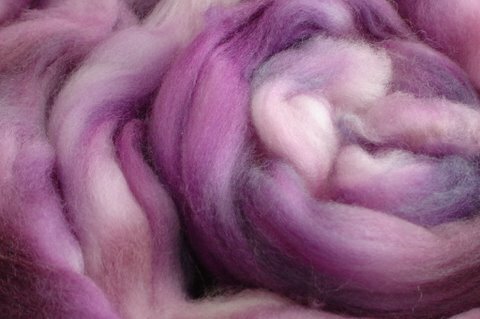 The 2nd Spincerely fiber selection is to be determined as I have lots to choose from. 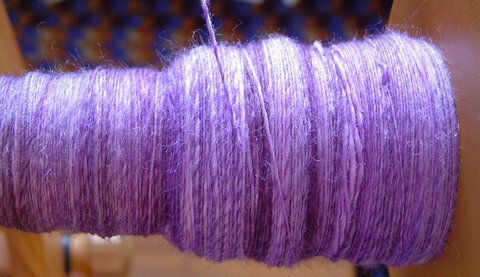 Spindle spin ‘Happy Accident’ – Figure out how much I already have on the spindle, start spinning for the 2nd ply and make a two ply yarn on the spindle. Then spin the rest on the wheel. 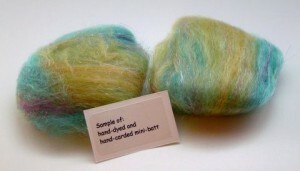 It might be interesting to see the difference between the spindle spun and wheel spun yarn from the same fiber. Practice chain-plying on the wheel. 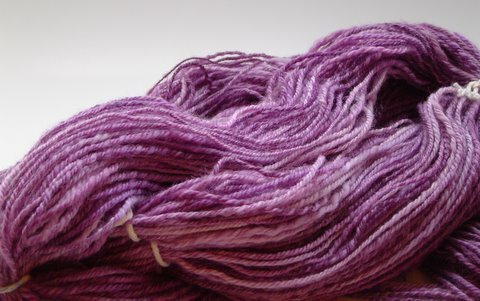 I love the look of chain-plied yarn. To my surprise, I figured it out rather quickly on the spindle but on the wheel there’s a lot more to factor into the process and currently is kicking my rear end. But to make it easier, I’m going to spin small amounts at a time so I can get a better sense of what works, what doesn’t and to maybe have a better sense of achievement than trying to do a whole 4 ounces at once. Haven’t chosen the fiber for this goal yet either. Ok… as I am typing this … maybe these goals aren’t that small … But I won’t really know that until I start spinning and seeing how much I can get done. I just took a moment to see what the Stephanie Pearl-McPhee’s (the Yarn Harlot) goal was last year. I didn’t think much about it when I was reading her blog last year but now? 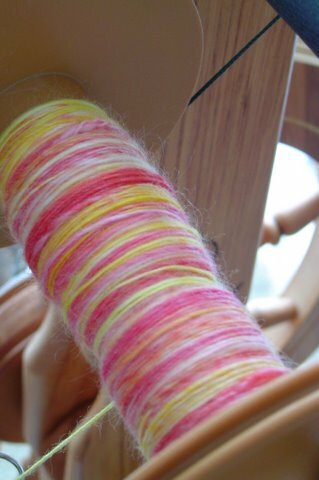 Her goal (and accomplishment) of spinning THREE pounds and 5 ounces of fiber is amazing to me. My head explodes even at the thought of considering such a goal. But this makes me want to expand and be more specific with my overall goal to spin down my stash, one that will encompass my other goals and go a little beyond them. 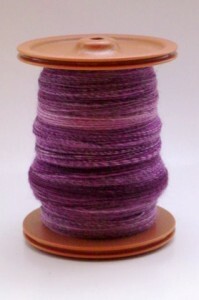 Overall goal: To spin ONE pound, 4 ounces of fiber (this includes the works in progress). 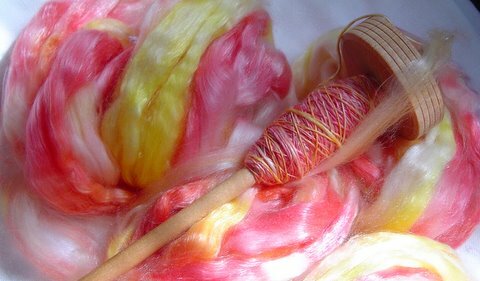 I will say it is proof that you are addicted to fiber when you create a plan to reduce your stash but a part of you is thinking .. “This is something special! I need to buy fiber for this special event!” I’m not gonna buy any … but I’m just sayin’. Stay tuned for photos of the fiber I’ve chosen above. 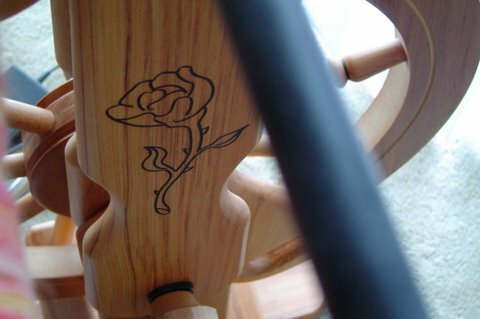 I’ve never spun with a goal in mind and I’m still new to wheel spinning. This should be interesting and fun! !